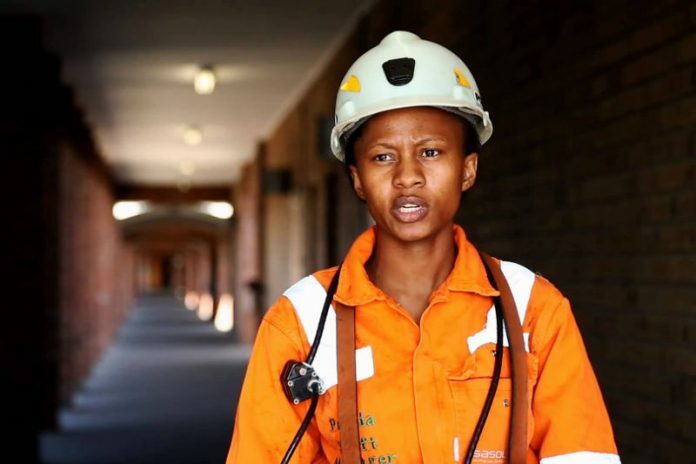 Home News How do we generate feminise mining? I recently attended and presented at the World Bank ‘Gender and Oil, Gas and Mining (OGM): New Frontiers of Progress, Challenges and Solutions’ conference. Surprisingly, given the OGM industry has one of the lowest representations of women (around 10 per cent), this was the first conference of its type ever held, with participants from industry, academia and NGOs. It posed the pertinent question: how do we generate the change that’s required in OGM to feminise mining? More specifically, what can be done to create conditions in which more women might want to join OGM, be able (and encouraged) to progress into technical and leadership roles, and benefit as community members around our operations. It was a refreshingly honest appraisal of the current situation, whereby rivalry between competitors and historic antagonism between industry, NGOs and academia were forgotten. Regardless of where on the ‘parity journey’ each participant was – from those with a foot on the start line to the pacesetters out front championing parity – there was a tacit agreement that we all had further to go and that this was a race that we would have a better chance of winning if we ran it together. The importance of the visible senior leadership commitment: optimistically, and perhaps to be expected given the business case, there is fairly universal support around this from the OGM top senior executives. Setting public targets to speed up the pace of change: BHP’s target for parity in its workforce by 2025 was heralded as not only moving the dial within BHP, but also across the industry. Creating and enabling a supportive culture: Rio Tinto’s 18-week minimum parental leave for the primary caregiver (regardless of gender) is setting a standard for others. Embedding an understanding that ‘gender’ doesn’t just mean ‘women’: success will only be achieved when men are part of the discussion and solution. In my position as Gender Diversity and Inclusion Programme Manager for the De Beers Group, I presented on the ‘Fostering Women’s Leadership in OGM’ panel alongside Goldcorp’s Anna Tudela and Consultant Dr Ali Burston. A key discussion was around policies that can be taken to enable more women to reach the boardroom. I therefore discussed some of the initiatives that De Beers is developing as we undertake our gender diversity and inclusion journey. This includes how we have constructed the foundations for our programme by developing a Gender Diversity Steering Group with champions from across our business, and have embedded our ‘four Cs’ business case around Community, Country, Company and Consumers. Engaging employees: through rolling out Group-wide unconscious bias training, launching a Reciprocal Mentoring Programme and piloting male-only workshops to provide open and confidential spaces to discuss our programmes and the topic of gender more widely. Equipping managers: including embedding inclusion and diversity (I&D) into our Leader as Coach programme, developing new recruitment guidelines with ‘how to’ guides to ensure inclusion is integral within recruitment processes and creating an I&D team activity toolkit. Enabling cultural change: reconsidering our policies, training and communications around both flexible working, and harassment and bullying. While we all still have a long way to go, the conference provided a valuable first step to start a discussion and to share, learn and work together for a stronger industry to benefit everyone. I, for one, am excited about the next step of this journey.